What an amazing enthralling experiencing it was to host Diwali at Times Square 2017. Thanks to all the Mera Sangeet listeners for making it such a special day for Mera Sangeet. It was very nice to meet you all. 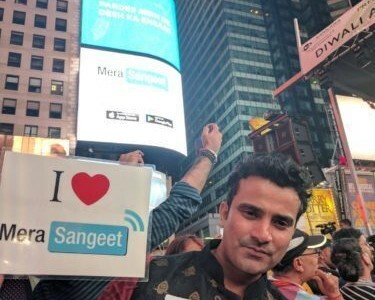 A very proud moment to see Mera Sangeet on the largest screen at Times Square. Thanks Mera Sangeet listeners for your support and love. 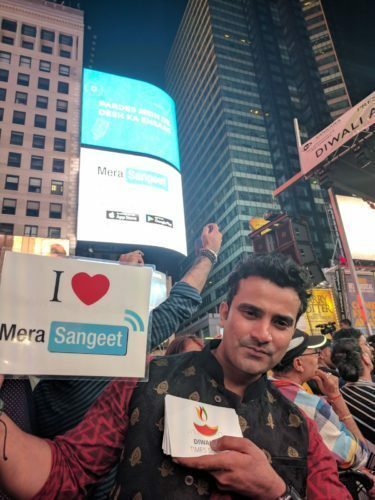 Happy Diwali from Team Mera Sangeet.